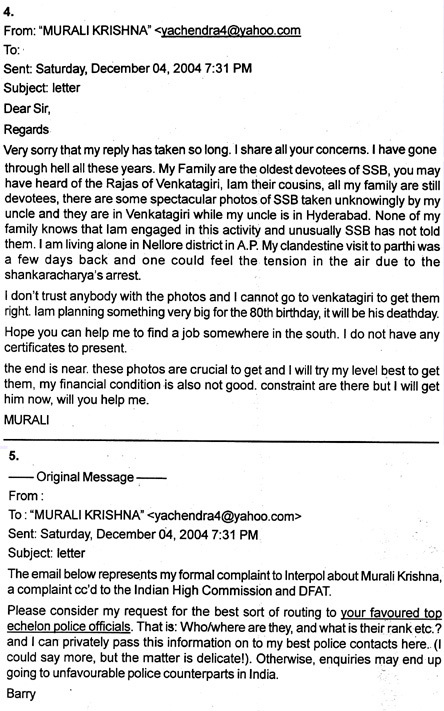 Sathya Sai College's Murali Krishna Yachendra's first e-mails in his campaign of lies to sabotage the International Sai Petition and critics of Sathya Sai Baba. 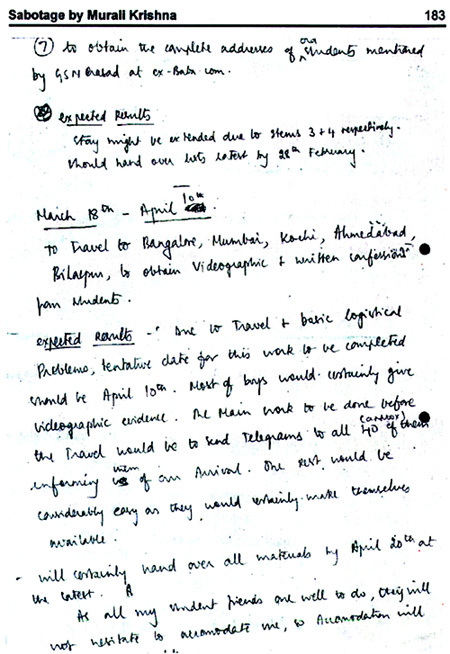 Note: The main chosen recipient of the mails from Murali Krishna was Barry Pittard, and secondarily also Basava Premanand. 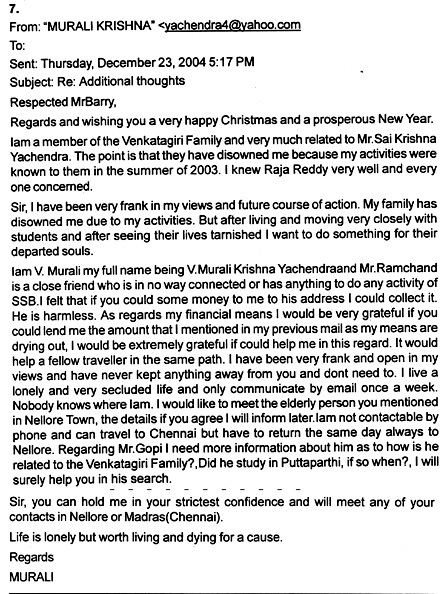 The e-mail address used specifically for the purpose of secure contact with Murali Krishna is no longer extant, so it has therefore been deleted from the mail headings below. 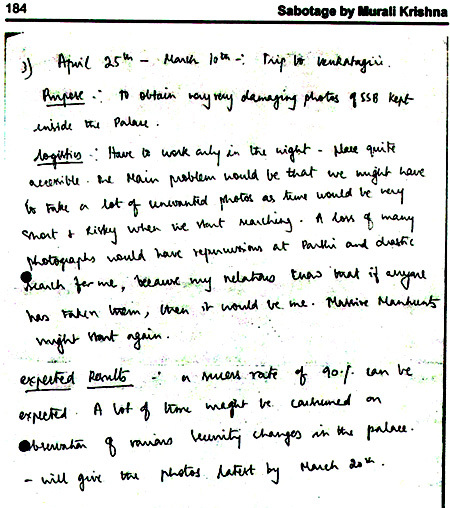 Both Pittard and Premanand very soon realised this was indeed a major and widely-organised scam intending to sabotage the work of critics of Sai Baba by getting them to accept unsound opinions and present Murali Krishna's lies as genuine testimony facts. 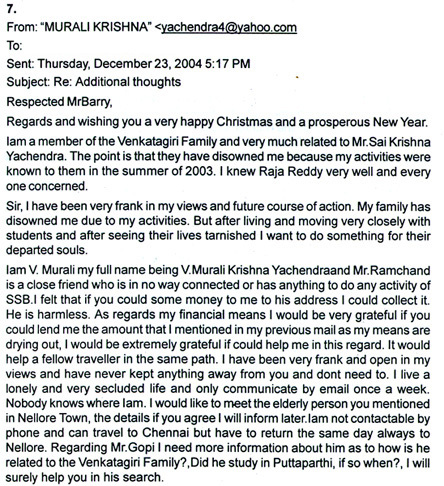 Murali Krishna and his various doubtful associates kept the scam going until he had sent over 100 e-mails! 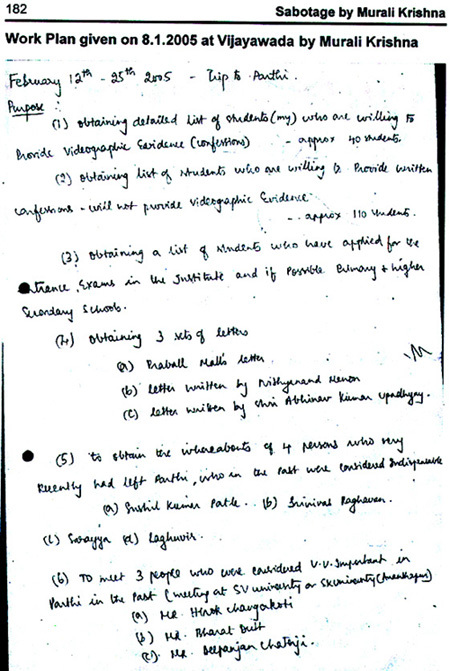 Finally he was so compromised and so thoroughly exposed that he gave up and changed tack - declaing on por-Sai websites how he is a Sai devotee and had been so all along! Nevertheless, Gerald Joe Moreno claims he is honest and genuine!